Episode 2 – What in the Funko is going on here? Welcome back to the only podcast dedicated to returning collecting back to the Pop! Collector. This week the team discovers a new investigation launched to discover if Funko and its officers committed fraud in reporting financials leading up to the Funko IPO. Welcome back to the only podcast dedicated to returning collecting back to the Pop! Collector. This week the team discovers a new investigation launched to discover if Funko and its officers committed fraud in reporting financials leading up to the Funko IPO. They discuss what in the Funko is going on with Barnes and Noble, Funimation and Gamestop’s websites when it comes to ordering Pop!, Finders Series Vol 1: Target, the first collectors story of the week, and close with Black Friday Deals!!! According to a Bloomberg report, Funko may have been committing some “Funhouse” accounting leading up to its IPO and the law firm of Kirby McInerney LLP has launched an investigation. Hopefully, this is not the case for Funko who has already seen its fair share of problems recently. Target has been associated with a black cloud hanging over its Pop! selling reputation, employees taking pops, employees hiding pops for customers, employees hiding pops for other employees and the list goes on. One thing is for certain placing the conspiracies aside Target would still be considered below average when it comes to Pop! With Target receiving more sought after collectibles, better characters and a designated Funko area raises its score. However, conspiracies everywhere, lack of knowledge of product, small variety of pops and lack of care for the product results in a 5 out of 10 score from the Pop! Collectors Alliance. Store layouts vary and some Target stores recently went through an extensive remodel but generally Pop!s are found in the same place. Electronics is responsible for holding and stocking collectibles and the Funko Section is normally labeled above the shelving located behind the movies and books. Either on a back wall or side wall depending upon the electronics section location. Some Targets will place Pops! in the toy sections beside toys of the same genre. For Example Marvel Pop! in the Marvel toys section, or Five Nights at Freddy’s in the same section. Some Targets still dedicate an end-cap in toys, often paired with Pintsized Heroes or Mystery Minis. Hunting Tip 1: Often stores keep highly collectible pieces at the electronics counter because skilled collectors / flippers know when they are coming. Always check behind the electronics counter for a FUNKO labeled box setting either on the floor or on the employees’ side of the counter. Hunting Tip 2: Use BrickSeek to identify if a store has stock. But always verify with the store, if you can with the DCPI. Sometimes the store inventory updates overnight when stores scan the truck’s inventory. This leaves you with no opportunity to verify their inventory. Note: When you are unable to verify with the store you are traveling at your own risk and there is a potential that Brickseek is incorrect. Expert Hunting Tip 1: Know all your store’s truck delivery dates so you can anticipate deliveries. Once you begin to see stores filling stock of one item it is certain that other stores will get them soon. Most stores don’t have the same delivery dates and any employees can tell you when trucks come in. So if you see stores getting items on Monday in the area and your local store doesn’t deliver until Tuesday it will probably show up. Expert Hunting Tip 2: Trucks aren’t always scanned / unloaded first thing in the morning so check BrickSeek throughout the day. Many stores have different scheduled offloading times and it’s best to get updates from BrickSeek so you can know exactly when items are in stock. The update feature requires a premium account which means money is involved, but if getting the item you need is worth it, TAKE THAT LEAP! ALWAYS TAKE A CHANCE!!!! ALWAYS!!!! In some cases Pop! inventory never updates in BrickSeek. By using all the information in this guide and your experiences as a skilled hunter and Pop! 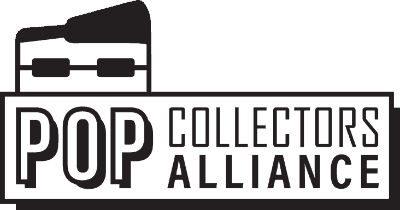 Collectors Alliance member you will pinpoint when that hard to find item arrives at your store. Target is a great place to find deals on Pops often because the mark them down too soon. In the toys section, there is a clearance shelf often located on an endcap (at the end of an aisle) or entire aisle in toys. Most toys and pops placed on clearance are located here. In the electronics section Pop!s are labeled with clearance stickers and remain on their original Funko shelves – these items are often Pop!s marked down too soon. Red Card holders – you can apply for a red card credit card or a debit card that links to your bank account, either way, there are exclusives offered to red card holders (Red Stormtrooper) and at least a 5% discount every day, but this can be raised for special sales events. One last thing is know your store hours – hours vary from store to store. This way you can position yourself for a successful early morning hunt. Follow us on all social media and stay tuned for an announcement of our first Cost Plus Shipping live event! Attendance is necessary to win! The post EP002 – What in the Funko is going on here? appeared first on AstroPanda.